spouse have already reached an agreement then you may be able to get a quick and easy divorce in Autauga or Elmore County. There is also a filing fee that each county charges to file your divorce. When you call us just ask and we’ll be happy to let you know the filing fee for your particular county. To get the process started you can fill out and send us a divorce questionnaire online by going to the Take Action link on the right hand side of the page or call our office to request us to mail or email you one. You will need to get us the questionnaire and pay attorney fees either online with a credit card or by mailing us a check or money order. Call us today at (334) 315-3933 for more information about obtaining a cheap divorce in Prattville. 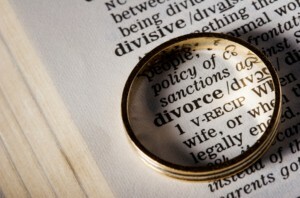 When you retain a local Prattville divorce attorney, your divorce will usually be filed in the county where you live. Therefore, if you live in Prattville then your divorce will most likely be filed in either Autauga County or Elmore County, depending on where in the city that you live. Even in simple no fault or uncontested divorces, each county in Alabama has their own local rules that must be followed in order for the judge to sign your divorce decree. In a contested divorce the motions, documents, and other filings can be quite complex and numerous due to the potential for litigation. There are many local requirements in contested divorce matters, but the types of filings and pleadings can vary greatly depending on your particular case. This description of filing for divorce in the Prattville area, will mainly just address the uncontested divorce process of filing in these counties since the pleadings are almost always very similar when an agreement has been reached. In order for a case to be uncontested, there will need to be an agreement reached, and properly signed by both parties when the divorce is filed. Since an agreement has been reached, there are no contested issues when the divorce is filed with the court and that is why it is called an uncontested divorce. In these types of cases, there are common forms and documents to be entered in all such matters but there are also regional requirements for each county. In almost all no fault divorce actions there will usually be an Answer, Complaint, Settlement Agreement, Testimony, and Acknowledgment of Representation. If there are minor children of the marriage then there will be child support forms and usually custody affidavits as well. These documents are usually required in all counties, but it is the language that the local courts request be put in the documents that can vary greatly depending on the jurisdiction. Some examples of this are where one county might want language in the agreement that another county might not require, they may want certain documents filed prior to other documents, some might want a document notarized while another may want it merely witnessed, and some counties have their own special documents and procedures to follow that may require additional filings. When you retain our law firm for your divorce, we will discuss these requirements with you so that you understand exactly what documents you are signing and what the requirements are that we will be following when your case is filed. We stay informed of the latest changes to the local rules so that we are not caught off guard when certain requirements are changed or altered in the future. This is why it is important to obtain a Prattville divorce lawyer to handle your case, so that everything is filed in accordance with the local rules. There are certain local requirements if you are filing in the Autauga County or Elmore County Courts. Our local divorce attorneys in Prattville regularly file cases here, and are familiar with such rules. In Elmore County, there is specific language that they require in their divorce decrees and agreements, and in there has been a parenting course requirement where there are minor children of the marriage. This means that if you have minor children of the marriage, then in order to receive your divorce decree, you and your spouse will have to attend and complete a Transitions in Parenting course and receive a certificate of completion. Once you have done this, we will file your certificate in the case. This is something that is not required by all counties, and is unique to the Elmore County Courts. When your divorce is filed, there is a filing fee that must be paid to the courts. Each county’s filing fees are different, with Autauga County being about $250 and Elmore County being about $240. These amounts are subject to change periodically as the counties amend these fees, and there are surcharges that are added to them for filing electronically, but this is approximately what the filing fees are in these counties. If you would like to know the exact amount for the filing fee in your county, feel free to call our Prattville divorce lawyers and we will be happy to provide you with this information. Attorney Steven Harris regularly files divorce cases in Prattville, Wetumpka, Selma, Clanton, Millbrook, Deatsville, Elmore, Holtville, and the surrounding areas of Elmore, Chilton, and Autauga Counties. Our Prattville office is located at 744 East Main Street, next to the CVS Pharmacy. If you have any questions about the requirements in your area, then call our office today to speak Mr. Harris over the phone, or in person, and let us explain the local process for filing in Elmore County, Autauga County, or any of the surrounding areas of Prattville and Wetumpka.